We know some things about rats. In great big cities like New York, rats tend to proliferate in massive numbers in places you can't easily see. Beneath the sidewalks, underneath the sewer grates, you'll find rats lurking, plotting and possibly staking out the remnants of your discarded lunch. Knowing what these furry vermin are capable of with ample food and determination doesn't bode well for your comfort. NBC Washington obtained the footage, but context and information surrounding the incident is scant. What we know are a few basic facts: the rat was in a building. The rat wanted to play a prank. The rat pulled the fire alarm. The rat won, and the lives of everyone in the building were almost certainly inconvenienced. 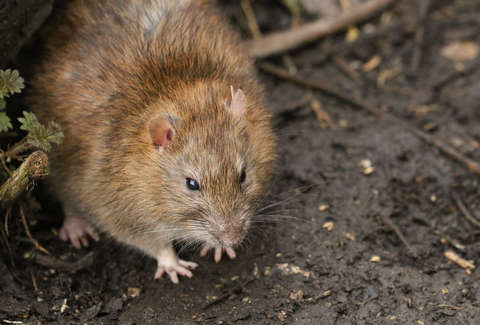 The incident occurred amid a growing rat epidemic in Washington. Last year marked the highest number of rat-related complaints in the city's history, although 2018 is expected to surpass it, per The Washington Post. With the surge of rats in DC only expected to grow, it makes sense for us to prepare for the coming onslaught. Pizza rat, my friends, was only the beginning. Sam Blum fears the rats. Follow him @Blumnessmonster.